Magbele bridge (and Mabang) have been ready for fixing for years. Recently, Alpha B. Barrie visited Magbele and spoke to the Ministry of Works, Housing & Infrastructural Development and the Sierra Leone Roads Aunthority. 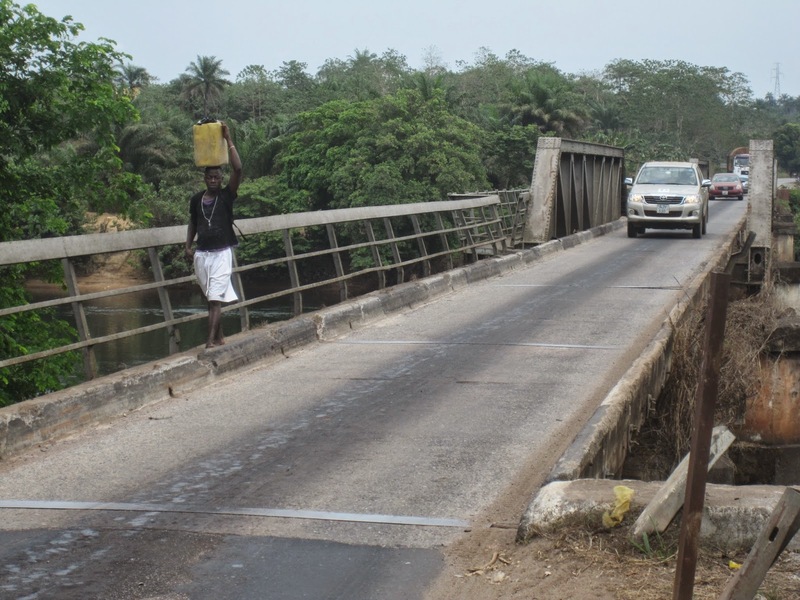 Magbele Bridge--Magbele Bridge, which crosses over the Rokel River, is on the road from Freetown to Conakry and part of the West African Coastal Road. 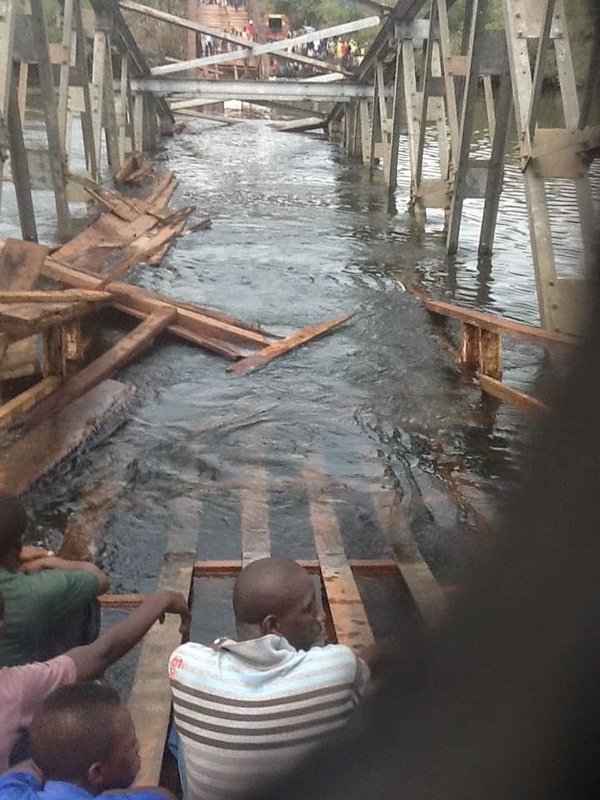 Isatu Sesay recalls that when they heard about the collapse of the Mabang Bridge two February's ago, many vehicles stopped using the Magbele bridge road. 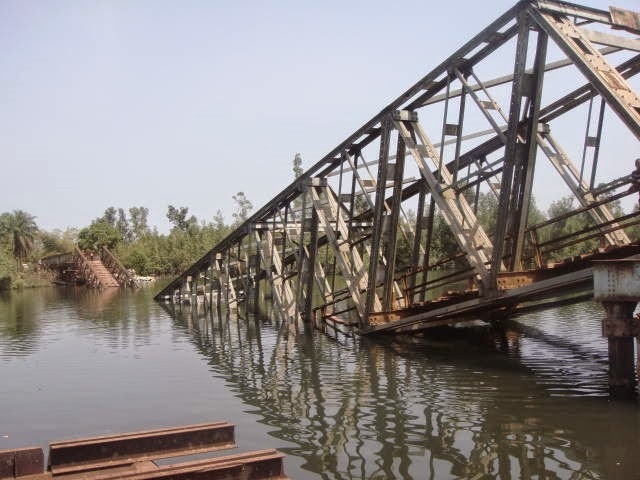 Abdul Babagalleh Barrie, currently the acting minister in Sierra Leone’s Ministry of Works, Housing, and Infrastructure Development, said aid had been secured from the European Development Fund to reconstruct the bridges. “The dangers that the bridges pose to the lives of the public will soon be a thing of the past,” the minister said. Officials at Sierra Leone Road Authority (SLRA) said work will start this year, and they are working with the contractors in ensuring that a good job is done. According to Alessio Gori, a civil engineer based in Sierra Leone, works supervision will be carried out by Italian engineering company, Politecnica Ingegneria ed Architettura. "We have already carried out the detailed design for reconstruction of Magbele, Mabang, Gbangbama and Moyamba bridges and upgrading of the Moyamba-Moyamba Junction Road," Gori told Sewa News. These strategic bridges link Freetown, Sierra Leone’s capital, to the north and southern provinces. Michael Johnson, a British resident, said he has been using the road link from Freetown to Conakry (Magbele Bridge) for five years. Johnson said reconstruction of the road will be a relief as many people were afraid whenever they approach the bridge. Mahamed Fofanah, a farmer, was hopeful that reconstruction would improve free flow of traffic and more vehicles will stop by to buy cassava, pineapples, cucumber, fish, peppers and plantains. Fofanah also said work on the bridge will create employment for youth in the community. “Our brothers and sisters will be employed to do the manual labour. So I am very happy,” he said. The new larger Magbele Bridge will include a new 2-lane, 163 -meter span steel bridge, with reinforced concrete slab over Rokel River and the construction of 264 meter of paved road for access to the new bridge. Rehabilitation of the Moyamba–Moyamba Junction road and construction of the Magbele and Mabang bridges will help to reduce travel time and accidents between Moyamba district and the capital city, Freetown, as well as along the road link from Freetown to Conakry (Magbele Bridge). ***This article was amended on February 24, 2015 to change the name of the Italian firm mentioned in the seventh paragraph. We had originally referred to PTI. This has now been changed.